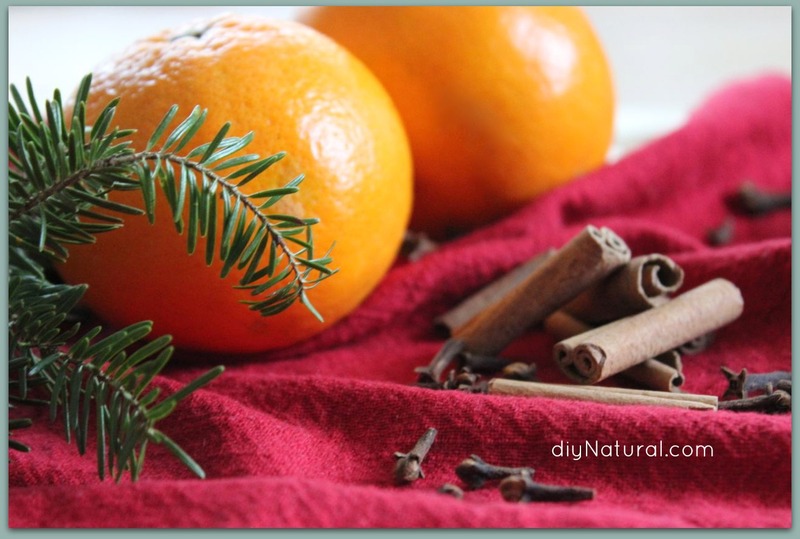 Why deck the halls with toxic candles when you can create natural air freshener sprays for your home? Sure, candlelight is beautiful, but it’s true – all those deliciously-scented paraffin wax holiday candles could be harming your family. Sitting around sipping egg nog and inhaling toxic fumes probably isn’t what you had in mind for the holidays. My most recent concoction is a festive spray that blends essential oils of spices and citrus fruits to add cheer to any room of the house. Mix some up for yourself or give away as gifts to the loved ones on your holiday list and spread the cheer! Find 100% pure essential oils we recommend here. Fill your clean spray bottle with vodka, water, or a 50/50 blend. 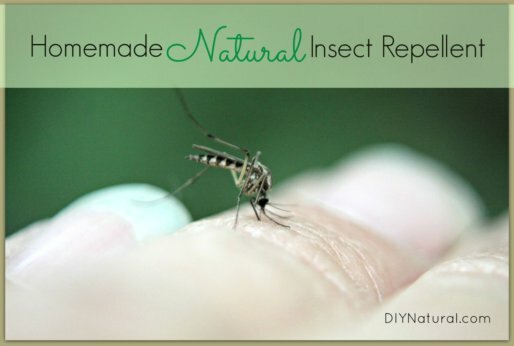 Drip essential oils into spray bottle and shake vigorously to combine. Shake before each use and spray whenever you desire a fresh burst of natural fragrance. Label your bottle well and keep out of reach of kids and pets. Be careful not to allow the fragrance to land on pets, food, or open beverages. 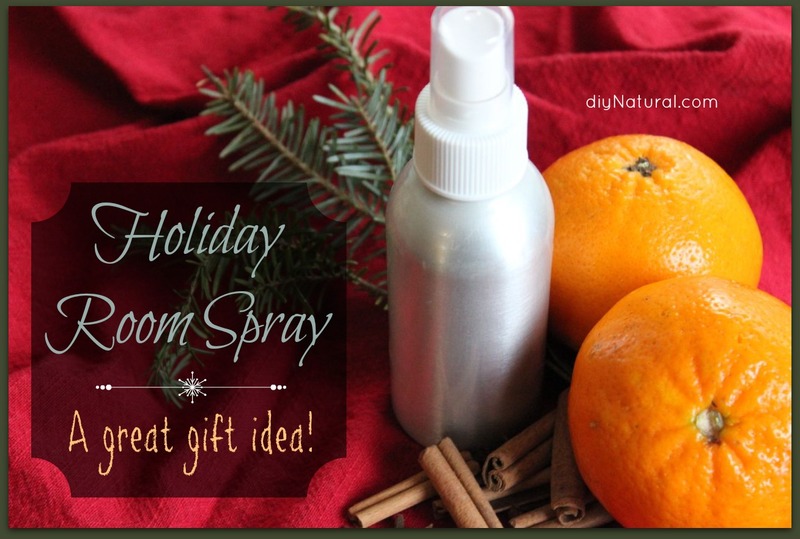 Feel free to make adjustments to the recipe to create a more citrusy or spicy version of this room spray. Once you have created the perfect scent, bottle it, tie on a pretty ribbon, and be sure to share it with others! What essential oil fragrances do you think would make a great holiday room spray? Share your ideas with the community! I like this. I have asthma and find I have no problems with the natural stuff but I do with the stuff you buy.Tip-keep a book of matches in yout purse for public bathrooms.Light one when you don’t like the smell in there.I wouldn’t do this at home though in case of children playing with matches.It really works. For Christmas why not try a Frankincense Essential Oil spray? Wonderful scent and is pretty traditional. 🙂 I received some of this oil for Christmas and it is fabulous. Try witch hazel instead of vodka. I have not experimented with this to see if it creates a longer-lasting scent, but you may want to give it a shot. How safe is this to use around pets? I ask because I’ve heard that essential oils are toxic to cats. Thanks for any info you have. Thanks for your question Sharon. We don’t have cats, but a quick Google search turned up a solid article from someone with experience on the matter. Hope this helps, blessings. Thanks, Matt. That article is very helpful. I’ll try those suggestions before making up a full batch of the freshener. Thanks for the info, frankie. Hoping my babes won’t be bothered either. If you have cats, DO NOT use tea tree oil. It’s fatally toxic to cats by ingestion or contact. I learned this the hardest way. There are thousands of links through any search engine that will verify this information. Any reason one can’t use rubbing alcohol? I make lots of room fresheners with rubbing alcohol. I don’t inhale it, obviously, just spray it where things are musty or germy. They also work for spray-on disinfectants. Sometimes I use white vinegar. I wonder if you’ve looked at these alternatives? This recipe looks great and I’m going to try it, but vodka is pretty pricey for me for something that won’t be consumed. Please don’t anyone answer if you’re going to lecture me. Thanks. The problem with isopropyl alcohol is prolonged skin exposure. If it’s just in a mist that is sprayed every few days and you’re careful not to inhale it our get it on your skin then you should be fine. Ethyl alcohol is just a safer alternative, but is more expensive. Hope this helps Jeanmarie, blessings. I was wondering if this air freshener would work well in a flame-less candle like a Sentsy? How long will this last before it goes bad? Great question Bunkie, essential oils are known for their long shelf-life, and depending on which oils are used, they last anywhere from one year to indefinitely. Citrus oils have the shortest shelf-life at between 1-2 years whereas cinnamon and clove are known to last between 3-4 years. Hope this helps. Blessings. Many people have severe allergies or migraine reactions to scents, especially those made with alcohol and essential oils. Best to NOT scent your home for the holidays or, at most, put natural plant items (cinnamon and cloves) in hot water. And keep any perfumes to a minimum. Nothing worse than being sensitive to scents and have to leave a gathering because someone slathered on heavy perfume. – this is especially a problem with musk based perfume. Allergies to essential oils is a broad brushstroke statement (many people actually cure allergies with them). As long as they are pure (we recommend the great oils from Mountain Rose Herbs) and you apply them correctly, they are much safer than chemical-based scents. Here is a great resource for you to go over Deb. Blessings. I made this broad statement because it is generally true that people who are scent sensitive are sensitive to many/most/all essential oils depending on the individual. Of course pure are safer than chemical items, but that does not mean SAFE for scent sensitive persons. I have been an herbalist, holistic healer and primary care provider for several decades, so am comfortable that my statements are accurate. I think other community members would place more confidence in your statements too, if you provided credible links along with these types of statements; like sharing links to your sources and/or a link to your profiles at any of the practices you have worked. That would be awesome. Thanks Deb. And Susun Weed’s site (your readers may know of her) has important info as well at http://www.susunweed.com/herbal_ezine/January07/goddess.htm. I’m confused what you’re trying to contribute Deb, as it pertains to this article. Further, these links provide no credibility for you as a licensed professional nor do they support anything you’ve said. Can you help me understand what exactly you’re trying to contribute, and perhaps give us a link to your professional page so we can get to know you better and see where you’re coming from? Thanks, and blessings. “But it’s not easy to know what’s in the products you put on your body and use to make your home and clothes smell better. The FDA does not require manufacturers to disclose the specific ingredients in a fragrance. They use the all-encompassing term “fragrance” on a label, which can include essential oils, synthetics, solvents, and fixatives’. This is the only place the WebMD link mentions essential oils. “fragrance” is an ingredient I avoid. Still not sure how this pertains to this article, other than stating that chemical fragrance should be avoided, which is the point of our article. Also worth a mention, the FDA is no authority, they’re the last source we would go to for what we should and shouldn’t do with our bodies. Deb RN makes a good point about some people being sensitive to scents of any kind, no matter how natural. Tea tree oil makes my eyes itch and burn like crazy (boo!). I do agree with you that essential oils are better than chemical-laden scents, but the point is that oils vs. chemicals is not our only option. 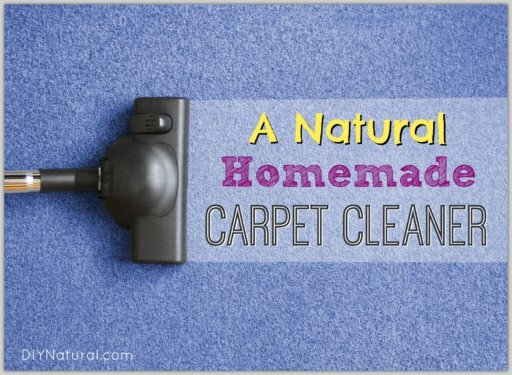 We have the choice to leave scents/aromas out of our cleaners completely, and the choice not to scent our homes at all if that’s what we need to do for our own health and the health of our guests. Thanks for all the information you and Betsy post. Very helpful, educational and useful. Hi! What brand of vodka would you recommend? The purest vodka we have found that is still reasonably priced is Reyka brand. Another non toxic way to have the holiday scent in your home is to put a few cinnamon sticks, cloves, and either orange peels or orange oil in a saucepan with some water. Bring to a low boil and then turn to simmer. Let simmer through the day adding water if needed. I put it on my stove top and turn my over head exhaust fan on and it fills my entire house with a warm Christmas scent. Woops…Yes this happened to me as well…so I use a big old pot and it can usually simmer all day. Thanks for all of your wonderful money saving non toxic ideas…Love them…and Merry Christmas. Try using a crockpot. You get scent AND a slow simmer.